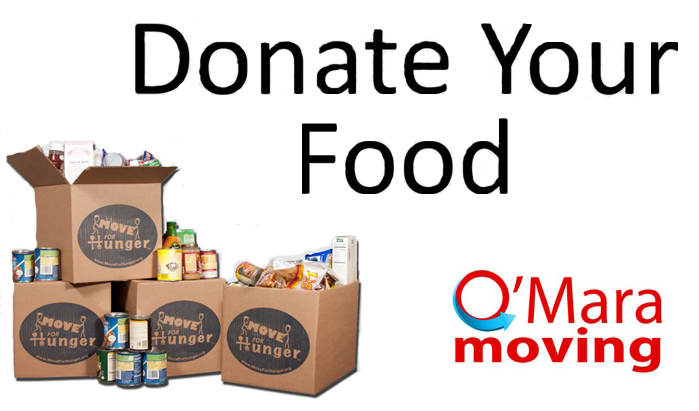 O'Mara Moving Systems is now proud to be member of Move For Hunger! Fact: More than 139,000 individuals in southwestern Wisconsin are in need of food assistance every year. 37 percent of those at risk are children. With times getting tighter these numbers are dramatically increasing. Thousands in our community need your help. What is Move for Hunger and why did we get involved? Move for Hunger is quickly turning into one of the nations largest non-profit service programs geared to providing food to the needy. They accomplish this by teaming up with movers like us at O'Mara Moving Systems. We help collect food and transport it to local food banks to support their efforts. We got involved because we are local movers who care about our community, and this is just one way we can give back to it. Please set aside any unwanted, non-perishable food items before your move and O'Mara Moving Systems will deliver the food to the Second Harvest Foodbank of Southern Wisconsin. Your donations will directly impact families living across the state!